The other day I realized I have missed a very obvious symbol in the Bible. It isn't even in some obscure passage that we never hear in Mass. In fact, we hear it every year at least once, and see reminders of it for weeks. My only hope is that one of you out there missed it as well so I feel a little better. Jesus tells His followers that He is the Bread of Life, and whoever comes to Him will never go hungry. Likewise, at the Last Supper, Jesus tells the Apostles to take and eat the bread (His body). In other words, Christ is "spiritual food" for them, and us. Rewind to our our much-repeated Nativity Story. Where did our Blessed Mother and St. Joseph lay the baby Jesus? And what is a manger? A place where food is placed! 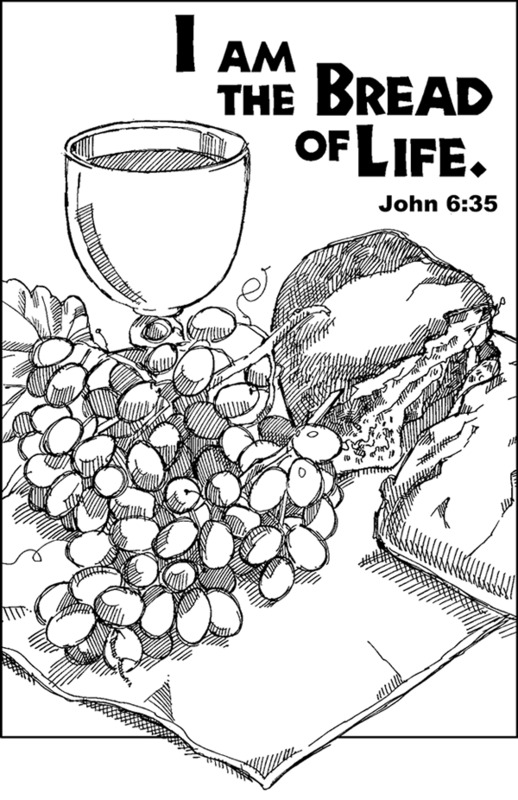 Granted, normally it is food for animals, but in this case, it was The Bread of Life ... food for all of our souls! Not sure how I could have missed that symbolism all these years. I had heard this before but not thought of it for a long time. Thank you! I think we see what we are supposed to see when we are supposed to see it. It was your day to get this message. The Holy Spirit gave you a big nudge! Don't you love it?!? And that's not the only "hint" God gave us, Michael. The name "Bethlehem" translates into "house of bread". Isn't that like a knock over the head? The Bread of Life was born in the house of bread and placed in a feeding trough! Canadians all have a little understanding of the French language; manger is the word for the French verb, to eat. So yes, I was familiar with this concept. I love how our faith keeps showing layers and layers of meaning as we delve deeper into it. Colleen: I wondered if I had heard it at one point and forgot, which is quite possible. Either way, the Holy Spirit did give me a big nudge! Mary: I never knew that fact, either!! Shirley: Agree - the layers never seem to end!